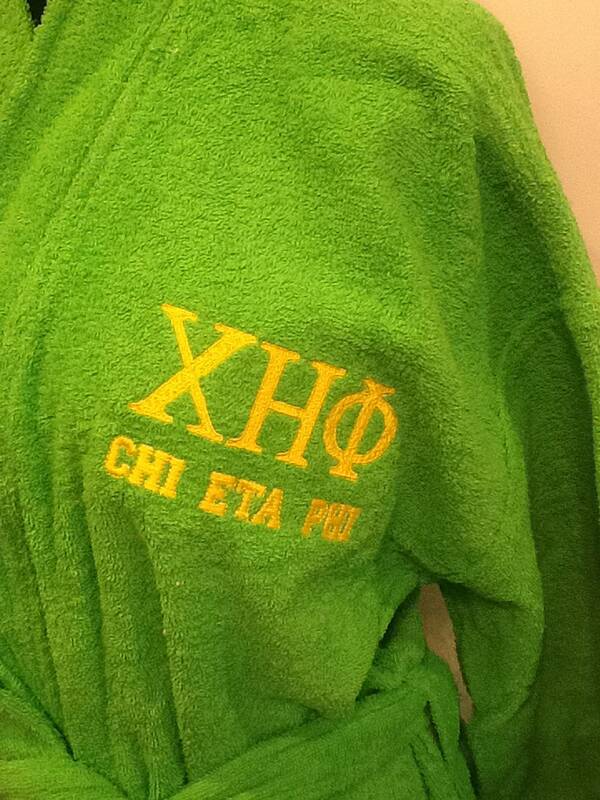 Lime Green robe is embroidered with Chi Eta Phi Greek Letters and organization name on left chest. 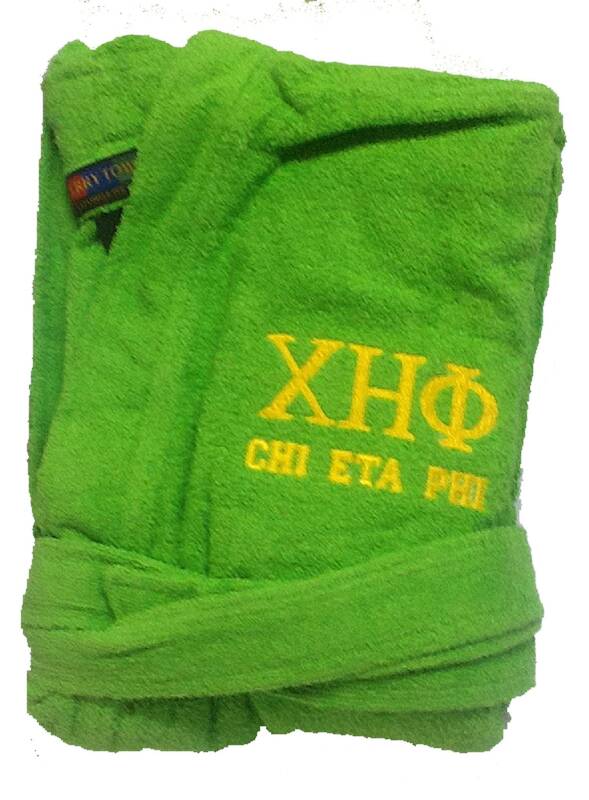 Embroidered with yellow polyester thread. No refunds on custom embroidery. SHIPPING: We ship Monday thru Friday via USPS from the Atlanta area. Please allow sufficient time for transit: Priority 2/3 days transit time. We welcome payment via Etsy's Direct Checkout or via PayPal. We ship Monday thru Friday via USPS. In stock items are generally shipped within 24 hours of receipt of payment via Direct Checkout or PayPal. Please allow for production time as listed in the individual listings for custom and/or group orders. All custom and group orders are pre-approved. No refunds on custom and group orders.